Geo Librarian: Two fun e-books by Ilana Waters! The people of Hamelin have a problem with rats. There are rats in their houses, their stores—even swimming in their stew! The rats don’t think they’re a problem. They just want to live their lives in peace. With the town’s approval, the mayor thinks of a clever way to solve the problem. He offers twenty gold pieces to a piper to rid the town of rats. He delivers only five. But he’s cheated the wrong piper, who’ll have to use both skill and wit to teach this town a lesson. Because there’s more than money at stake. An evil pattern is emerging in the way Hamelin treats any creature it considers inferior. And the Piper vows to put an end to it—once and for all. Think you know everything about this classic folktale of greed and cunning? 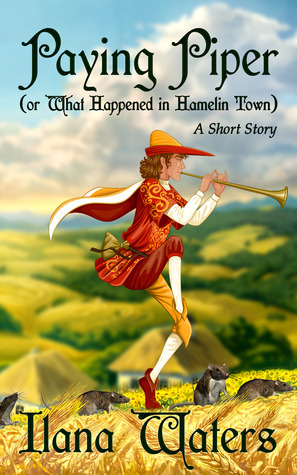 In “Paying Piper,” you’ll learn what really happened the day a magical musician came to Hamelin—and why. “Paying Piper” is approximately 5,000 words, or about twenty pages. 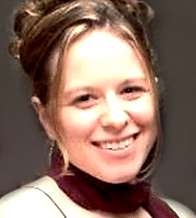 Ilana Waters is a freelance writer who lives in New Jersey. When not creating content for websites, she can be found working on fiction—as well as nibbling string cheese. She once pet-sat an electric eel, and enjoys walking in circles around the park for no particular reason. While this starts out as a typical retelling of the Pied Piper of Hamelin, it doesn't end that way. When the mayor hires the piper to get rid of the rats he plans to cheat him of the 20 gold coins he promised and only give the piper five gold coins. Now in the original story, the piper than leads the children away as revenge for the way he was treated and of course we never know what happens to the children (depending on the retelling), but in this version the piper doesn't lead the children away out of revenge, but out of compassion and a determination to teach the townfolk a lesson. It seems that once the rats left, the townsfolk turned their irritation and anger on their children as well as lying and cheating their neighbors. Once the piper leads the children away he lets them know that in order to get their children back they need to mend their ways. 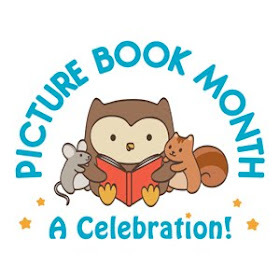 Not only an entertaining story with fun details about talking rats who love to dance, but a fun story about how to treat others. I appreciated the questions at the end about stranger danger as well. A well-told and thoroughly enjoyable fairy tale retelling that I can highly recommend. Received from author in return for honest review. Ten-year-old Wikkley McStag and his family are born farmers, happy to work the land. But then they—and other royal subjects—are forced to buy strange, useless machines. Money starts running out. Now the McStags have two days before they lose their farm. As the eldest child, Wikkley must journey to the palace and ask for the king’s help. His loved ones only hope his reckless nature won’t get him in trouble once he’s there! When Wikkley arrives at the palace, he finds an unnecessary castle being built right into the sky. The same thing is happening in a neighboring kingdom. When royal foolishness leads to disaster, it’s up to Wikkley to save several lives. Will his recklessness finally come in handy? Or will it mean the end of his family, his farm, and possibly . . . his life? From the fantasy world of The Adventures of Stanley Delacourt, Ilana Waters brings you another alternate-medieval adventure. If you like Tom Sawyer and Huckleberry Finn, don’t miss meeting Wikkley McStag! (This novella is approximately 21,000 words, or 70 pages). A delightful book from beginning to end, Castles in the Air, provides an enjoyable reading experience. Wikkley is a fun narrator with enough personality to satisfy even the most discerning of readers. At ten-years-old, Wikkley sets off to see the king, hoping to obtain some help for his family who is about to lose their farm. However, when he gets to the city he realizes that conditions there aren't much better than on the farm. People are forced to buy tools they don't need simply so the king can add to his castle. Unable to obtain help from his own king he heads to the king next door hoping things will be better there. But when disaster strikes will this 'reckless' boy be able to save the family farm? Waters has created an interesting fantasy world with entertaining characters that are fun to read about. There is also lots of humor as well, for example here are some of the names of the tools that citizens are forced to buy: confibulizer, sparkleons, Catasling, decombobulator, etc. Snicker, snicker. I also liked the inclusion of Peter Piper and peppers in the story, rather clever I must say. I can highly recommend this e-book to readers who enjoy short stories with lots of creative characteristics and plenty of humor. 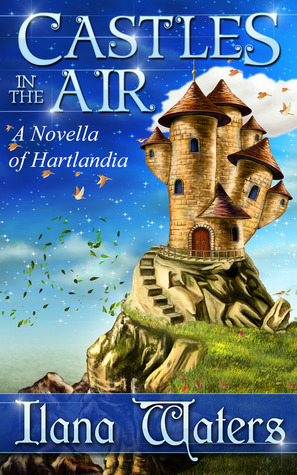 Be sure to also check out the author's book, The Adventures of Stanley Delacourt which also takes place in Hartlandia.